Stephen Gill, together with business partner Hiro Chen, is on a mission to change the footwear industry. As co-founder of men’s contemporary shoe label ohw? which owns the factory where its shoes are made (a rarity these days), he can ensure that every pair meets the owners’ standards of design and manufacture. Being so busy with ohw?, Gill keeps to just the basics with his essentials, starting with a good set of headphones from Bang & Olufsen, a MacBook Pro, a simple watch and wallet, and a nice pair of shades from Booth & Brace. His passport is always on hand for overseas business trips and a set of family photos means he’s never too far from his loved ones. 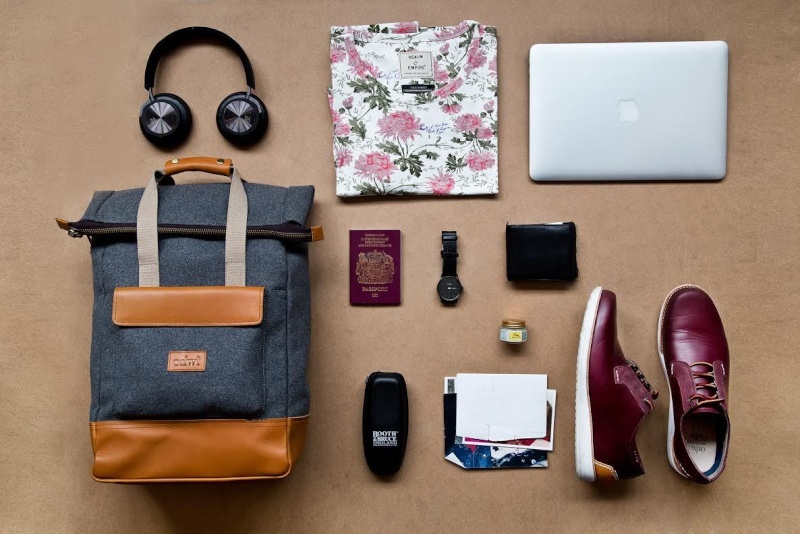 Rounding out his list are a sturdy backpack from ohw?‘s new accessories range, a clean Realm & Empire T-shirt, some Tiger Balm and of course a pair of trusted ohw? shoes.